On Sunday, July 1, 2018, Pastor Denise Tiedemann will begin her ministry at DeBows UMC. 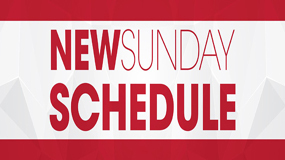 Starting on that date our Sunday morning worship service will begin at 9:30am. Fellowship Time will follow the service each Sunday at 10:30am.